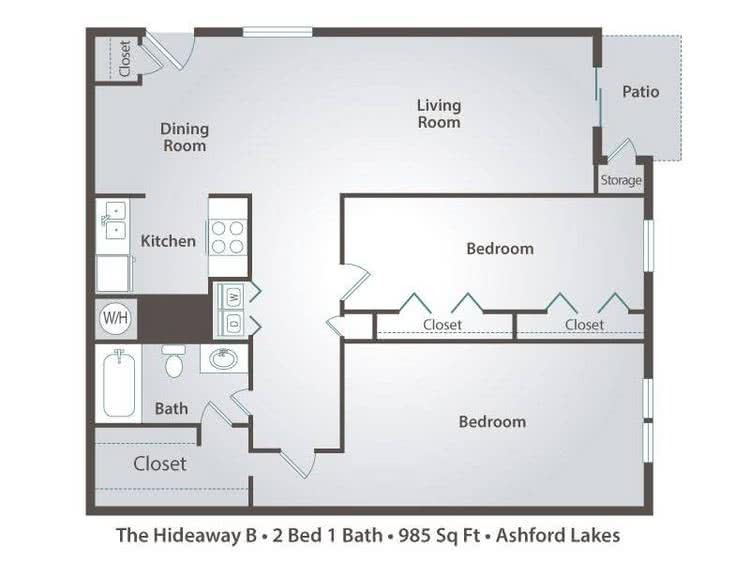 The Hideaway A is a 2 bedroom 1 bath garden style floor plan with a walk-through style kitchen that connects to the open dining room and living room with an outdoor patio or balcony off the living room. It also offers 1 full bath, a linen closet and laundry area located along the hallway that connect both master and 2nd bedrooms. 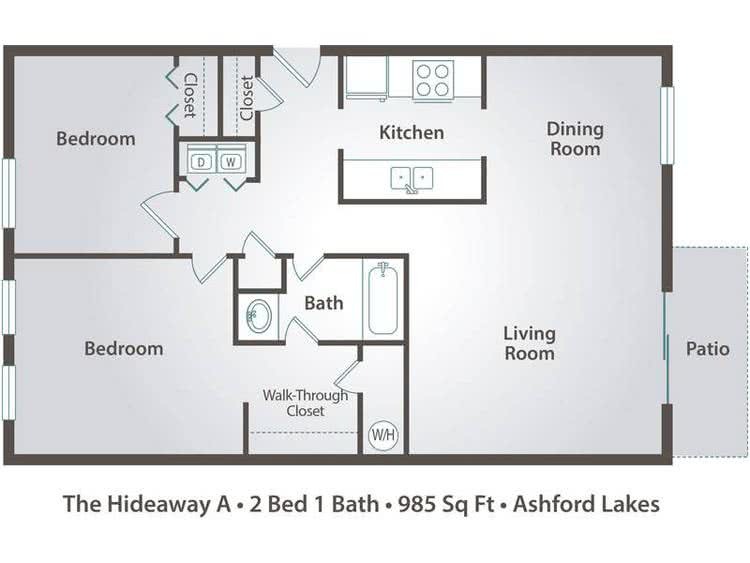 The Hideaway B is a 2 bedroom 1 bath garden style floor plan with a galley style kitchen just off the dining room and living room area. The outdoor patio or balcony off the living room has an exterior storage closet. The hallway leads to the bedrooms, laundry room, linen closet and full bath. 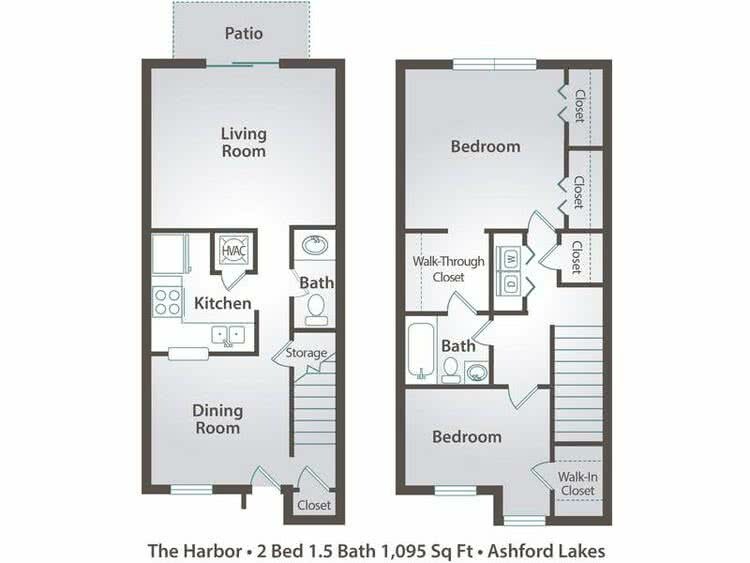 The Harbor is our largest 2 Bedroom 1.5 Bath floor plan. This townhome has a split level layout with the dining room, kitchen, living room, out-door patio, and half bath downstairs on 1st level and the bedrooms, full bath, and laundry upstairs on 2nd level.